Today was another busy afternoon (apparently there is a theme here), so dinner was a lot of random leftovers. 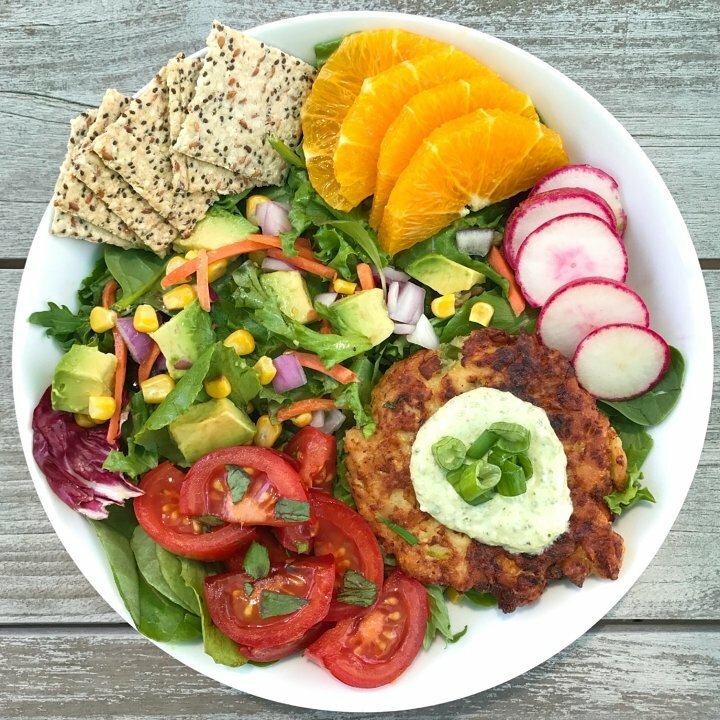 My plate was the last of the Zucchini Fritter Veggie Burgers with some fresh Pesto Yogurt Sauce, both recipes from This Mess is Ours, on a bed of greens with avocado, balsamic marinated tomatoes, radishes, orange slices and some Jilz Crackerz. A random bowl of leftovers never tasted so good! And there is nothing better than cleaning out the fridge!